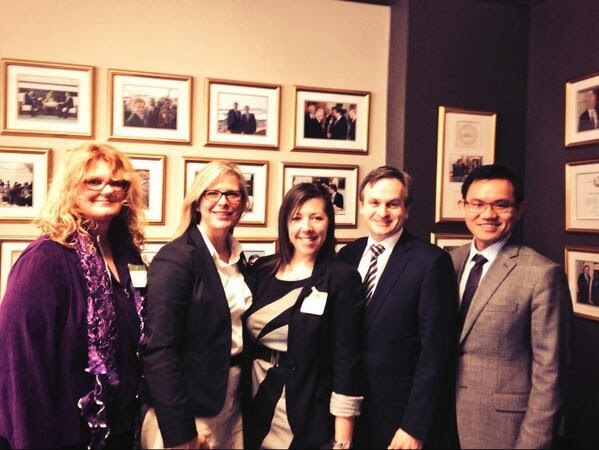 On Tuesday, March 4th, 2014 I (Taryn, the Charitable Programs Director) had the privilege of attending the Canadian Organization of Rare Disorders (CORD) Action Day on Parliament Hill in Ottawa, ON. As someone who has never been on "The Hill" before, it was a really exciting and eye opening day. I was asked a few weeks ago, as a participant of Answering TTP Foundation's Patient Advisory Board (PAB) to attend the conference and Action day.When I first learned that I would be given the opportunity to attend Action Day I was a little nervous and intimidated as I have never been to Parliament Hill before let alone to meet and speak with politicians in their offices. Luckily, CORD partnered me up with a team of individuals who were experienced in these kinds of meetings, consisting of a patient living with a rare disorder, the parent of a patient with a rare disorder and another rare disorder organization staffer, all of whom were willing to take me under their wings and show me the ropes! Our first meeting was bright and early at 9 am, with Dr. Carolyn Bennett, the MP of St. Paul's, ON. Walking into her office I was a little nervous, but also very in awe of where I was. We were greeted by Dr. Bennett's staff and two students who were shadowing the MP for the day, all of them were extremely welcoming and that put my nerves at ease. Our meeting went great! It really felt like less of a meeting then a casual conversation about rare disorders and the need for awareness and regulation in Canada. We had about half an hour between the end of our first and the beginning of our second meeting, giving us just enough time to get to the next building and through security with a few quick photos on The Hill in between. 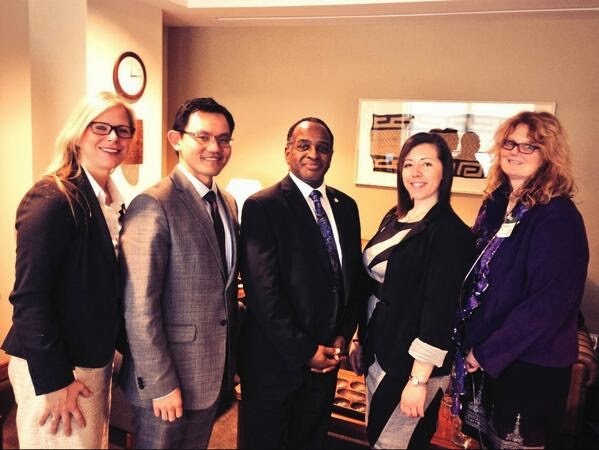 Our second meeting was with Andrew Saxton, the MP of North Vancouver, BC. He and his staff were very welcoming and we had a great conversation with him as well! Just before the meeting ended the bells of Parliament began to ring summoning all MP's to the house for a vote, which was a really neat experience. I swear the building came alive when this happened and you could feel a growth in energy! Thankfully we had just enough time to finish up our chat with Mr. Saxton before he was off to the house and we were off to our third meeting. Our third meeting was with Tyrone Benskin, the MP of Jeanne-Le Ber, Qc. We arrived at his office just as he was getting back from the house and he and his staff too were very welcoming. By this meeting I was feeling confident, energized and empowered. My team even encouraged me to take the reins and lead the meeting! The meeting went great and I felt even more energized walking out of the meeting then I had going in ... if that is possible. After a break for some lunch and a presentation we were off to our fourth and final meeting of the day with Lois Brown, the MP of Newmarket and Aurora. Mrs. Brown also happens to be my MP and we quickly realized that we had a lot in common, including being graduates of the same High School, go figure! Like all the meetings before our fourth meeting went amazing! All in all I think the day on The Hill was a success! I got to see Parliament inside and out (ps. the buildings are stunning! ), I got to meeting with some friendly politicians, but most of all I was able to generate awareness of TTP and the need for support in gazetting the Canadian Orphan Drug Regulatory Framework. To learn more about the Canadian Orphan Drug Regulatory Framework and/or to sign the petition, Click Here. Next year we hope more of the Foundation's active volunteers can attend. To find out more about joining the Foundation's Patient Advisory Board visit our website HERE.